Suction: 34kg. 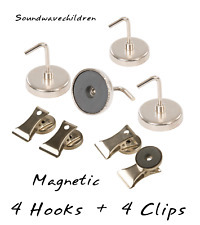 This magnetic hooks are well made of premium material for durable and practical use. It is suitable for magnet fishing, lifting, hanging, retrieving applications. - Material: Magnet. 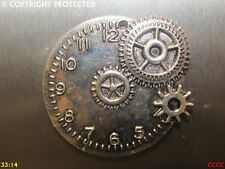 Featuring silver coloured clock with cogs. Handmade fridge magnet. complete with round magnet to reverse. On the help section in regards to these problems I have found this Also depends on the browser and if you have cleared cache/cookies. Never worry the magnet getting left behind when you attempt to pull the clip away from your refrigerator.We use strong glue to make magnet stuck to the clip. Material: bright steel strong magnetism. Handmade fridge magnet. complete with round magnet to reverse. ADD TO BASKET UPDATE . At the end of your selection the new total should show the correct amount. Also depends on the browser and if you have cleared cache/cookies. Quantity: 12pcs. Waterproof and reusable, Scratch-Free and won't break! Anyway we will try our best to avoid this kind of thing. Due to the light and screen difference, the item's color may be slightly different from the pictures. Suction: 34kg. This magnetic hooks are well made of premium material for durable and practical use. It is suitable for magnet fishing, lifting, hanging, retrieving applications. - Simple sturcture. Quantity: 12pcs. Waterproof and reusable, Scratch-Free and won't break! Anyway we will try our best to avoid this kind of thing. Color: silver. Due to the light and screen difference, the item's color may be slightly different from the pictures. Featuring silver coloured moustache. Handmade fridge magnet. complete with round magnet to reverse. Also depends on the browser and if you have cleared cache/cookies. All designs are the original work of Captain Cumberpatch's Curious Creations. 6 large magnetic clip. 12 small magnetic clip. size: Large size: 50mm. The perfect tool for hanging what you want. Anyway we will try our best to avoid this kind of thing. Coated in Nickel for a modern silver finish. Weight: 17g. Handmade fridge magnet. Featuring silver coloured giraffe. complete with round magnet to reverse. On the help section in regards to these problems I have found this Also depends on the browser and if you have cleared cache/cookies. Featuring silver coloured penny farthing bicycle casting. Handmade fridge magnet. 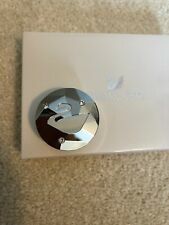 complete with a round magnet to reverse. ORIGINAL DESIGN PROPERTY OF. At the end of your selection the new total should show the correct amount. Featuring silver coloured clock workings. Handmade fridge magnet. complete with round magnet to reverse. On the help section in regards to these problems I have found this Also depends on the browser and if you have cleared cache/cookies. Featuring silver coloured octopus / kraken. Handmade fridge magnet. complete with round magnet to reverse. At the end of your selection the new total should show the correct amount. ORIGINAL DESIGN PROPERTY OF. Handmade fridge magnet. CAPTAIN CUMBERPATCH'S CURIOUS CREATIONS. complete with round magnet to reverse. All designs are the original work of Captain Cumberpatch's Curious Creations. ORIGINAL DESIGN PROPERTY OF. Handmade fridge magnet. complete with round magnet to reverse. Featuring silver coloured butterfly. All designs are the original work of Captain Cumberpatch's Curious Creations. On the help section in regards to these problems I have found this. 5 x Silver Tone Magnet Base Refrigerator Notice Fridge Wall Round Magnetic Clip. 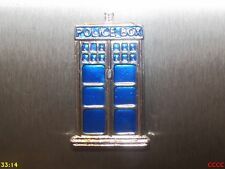 5 x Fridge Magnet clip. We want to make sure you are happy with our item. Goods without RMA number will NOT be accepted. Handmade fridge magnet. complete with round magnet to reverse. Also depends on the browser and if you have cleared cache/cookies. All designs are the original work of Captain Cumberpatch's Curious Creations. Handmade fridge magnet. complete with round magnet to reverse. Featuring large silver coloured tree. Also depends on the browser and if you have cleared cache/cookies. ORIGINAL DESIGN PROPERTY OF. At the end of your selection the new total should show the correct amount. Brand new Apply For: Put Them On Any Metal Surface, Such As Metal Doors, Refrigerator, Wall And Cabinets, Using Around The Home, Office, Workshop Or Garage For Holding Notes, Messages, Photos, Reminders And Recipes etc.. Made of metal material, designed with a magnetic base,Easy to stick and remove,Strong magnet non-slip spring clips. Material Metal Main Color Silver Clip Width Approx. 3cm Magnetic Base Diameter 2.8cm Country/Region of Manufacture Hong Kong Design Art Room Living Room Brand Unbranded/Generic MPN BL758093134729 EAN 758093134729. 1 x Refrigerator Magnetic Stickers. Material: Resin magnetic. Color: Silver red Shrimp Canned. Brand new Apply For: Put Them On Any Metal Surface, Such As Metal Doors, Refrigerator, Wall And Cabinets, Using Around The Home, Office, Workshop Or Garage For Holding Notes, Messages, Photos, Reminders And Recipes etc.. Made of metal material, designed with a magnetic base,Easy to stick and remove,Strong magnet non-slip spring clips. 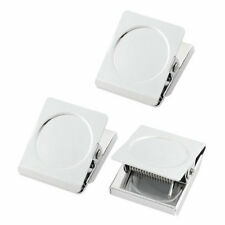 Material Metal Main Color Silver Clip Width Approx. 3cm Magnetic Base Diameter 2.8cm Country/Region of Manufacture Hong Kong Design Art Room Living Room Brand Unbranded/Generic MPN BL758093134729 EAN 0095509577719. Handmade fridge magnet. complete with round magnet to reverse. Featuring silver coloured ornate key. On the help section in regards to these problems I have found this Also depends on the browser and if you have cleared cache/cookies. They are perfect for hanging pictures, light curtains, and more! 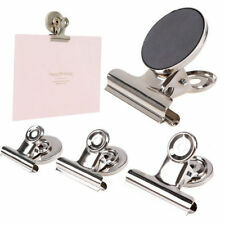 Square, stylish, super strong stainless steel magnetic clip. Now you can easily sort, quickly access and boldly display your key data – everything from your To Do lists and calendars to your school work, product samples and flow charts. 5 x Fridge Magnet clip. We want to make sure you are happy with our item. Goods without RMA number will NOT be accepted. Color: Silver as shown. We'd like to settle any problem in a friendly manner. Handmade fridge magnet. Featuring silver coloured gas mask. complete with round magnet to reverse. At the end of your selection the new total should show the correct amount. Also depends on the browser and if you have cleared cache/cookies. Quantity: 12pcs. Due to the light and screen difference, the item's color may be slightly different from the pictures. The fridge magnets are flush with the steel sleeve that they are set in. Large Angle Opening: The refrigerator magnet can withstand 10 A4 paper. Quantity: 12 pcs. HEAVY DUTY - Super strength magnets are strong enough to hold at least 20 sheets of A4 paper at once and are perfect fridge magnets, dry erase board magnets and office magnets. size: 31MM LONG. 1X(IMPROVED PROCESS:Never worry the magnet getting left behind when you attempt to pull the clip away from your refrigerator. ). Handmade fridge magnet. Featuring large silver coloured tree with five dragon eyes on it. complete with round magnet to reverse. ORIGINAL DESIGN PROPERTY OF. At the end of your selection the new total should show the correct amount.